I’ve felt the familiar tension and resisted it all day long. I know what I should do, what a part of my being wants to do, yet I don’t do it. Setting new goals is easier to avoid. 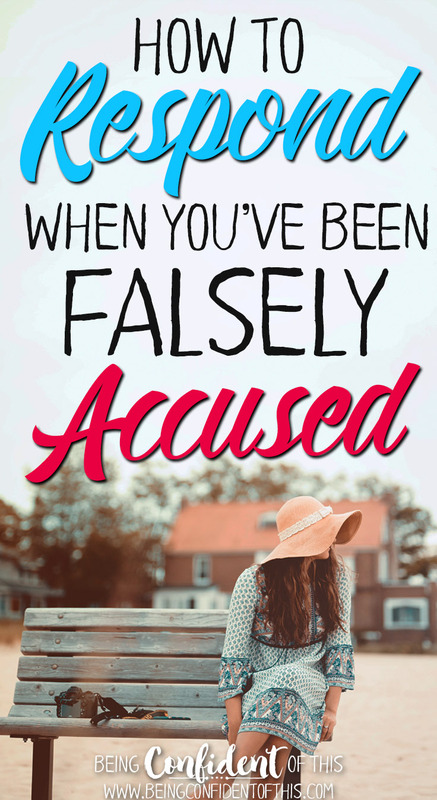 It’s the tension between the old-in-sin me and the new-in-Christ me, the self-centered, lazy, fearful me and the Christ-focused, hard-working, confident me. 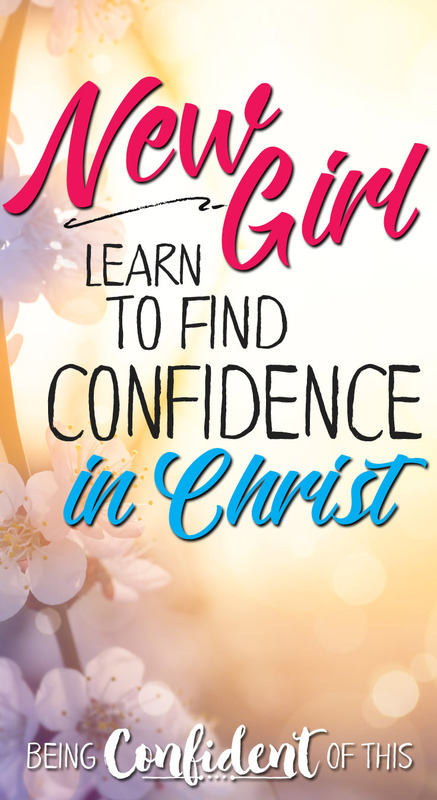 I know who I want to be, friends, but the distance between who I am today and the Christ-confident woman I want to be stretches out before me like a road in the desert that only ends when it meets the horizon. The task seems impossible, yet I know I serve the God of the impossible. 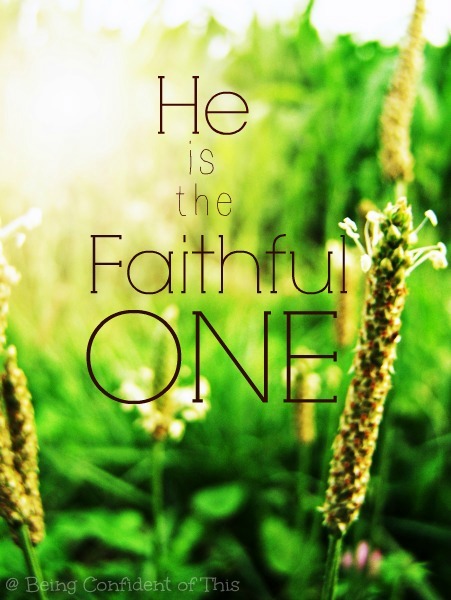 And hasn’t He proven Himself faithful time and time again in my own life? 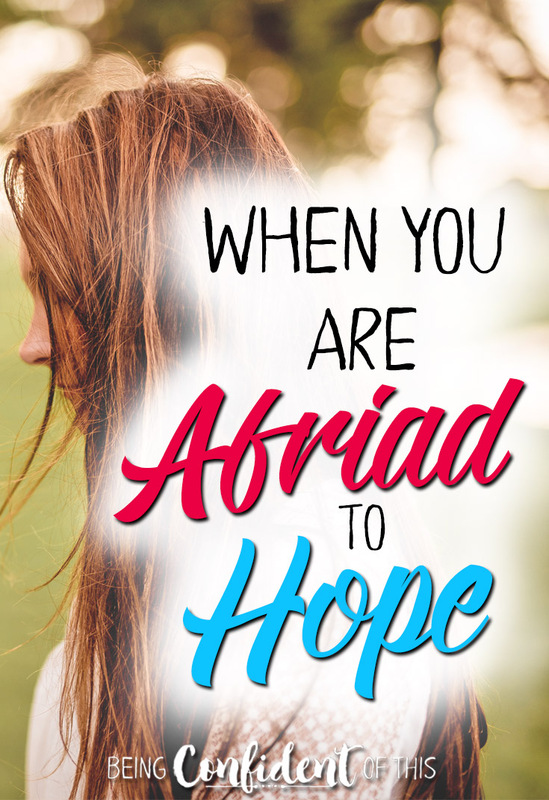 Each fear-inducing challenge came with the grace to persevere: each one followed by unexpectedly beautiful rewards worth so much more than the sacrifice required for obedience. So why this goal-setting angst? I know the truth yet my feelings lead me astray. I’m a stubborn, helpless, rebel whose only hope is Christ! Praise God He loves me enough to keep molding me. He pursues me even when I run and hide in fear like Eve did so long ago. He creates a restlessness in my spirit that causes me to yearn for more – more Christ-likeness, more knowledge of Him, more surrender to His plans, more freedom to be who He created me to be! Do you want it, too, friend? 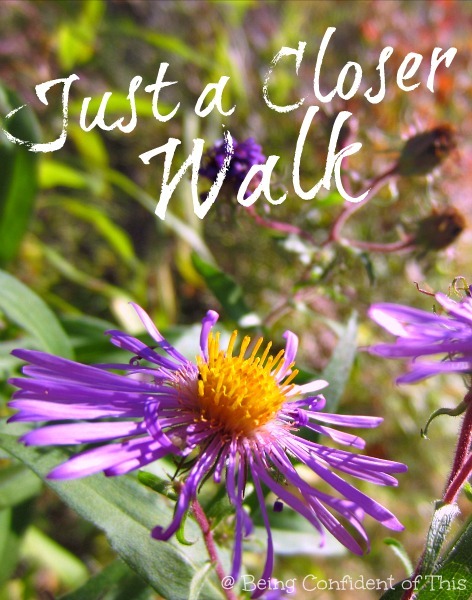 Do you long to walk into the New Year with confidence in God’s direction, with focus, with purpose? 1. Surrender to God’s plan for your life. To be capable of discerning God’s direction and claiming the confidence that comes only from Him, you must first surrender your very life to His plan for you. This begins with salvation, friend. You cannot follow God if you don’t have an authentic relationship with Him. You cannot claim His promises if you don’t first belong to Him. Do you know Jesus on a personal level? 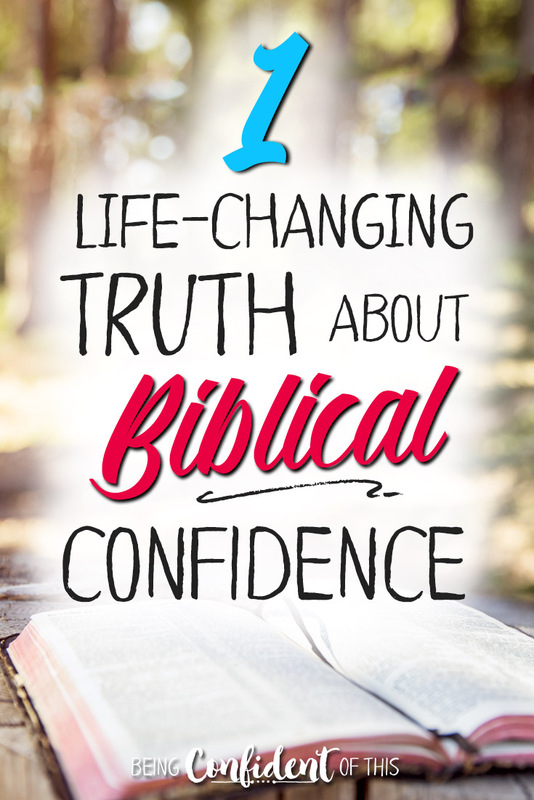 Are you confident in your salvation? If not, you can be today! Don’t waste another year chasing dreams that aren’t meant for you. Instead, find your real purpose in Christ! 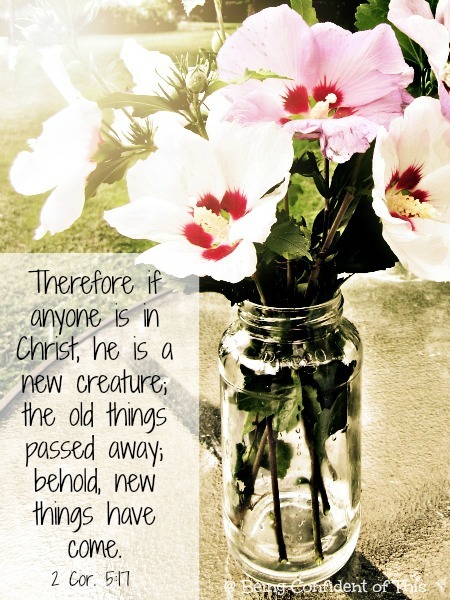 You can set goals with confidence when you learn to see yourself as a new creation in Christ! 2. Consider your unique spiritual gifts. Scripture is clear that each of us Christ-followers have been gifted by the Spirit for the building up of God’s body, the Church. One practical way to understand who God created you to be is to take a spiritual gifts test or inventory. In fact, I recommend taking several so that you can gain a clear picture of your top few gifts. You may be surprised by what you learn! Learning my own spiritual gifts has given me the confidence to use them for God’s glory rather than sitting back and waiting for someone else to tell me who I am supposed to be. Whether you currently believe it or not, friend, you have your own spiritual gifts, and they are much needed in your local body of believers! Set goals with confidence by understanding the spiritual gifts you have today. 3. Consider your past preparation. When I look back over my life as whole, I see the ways in which God has prepared me for the tasks God has given me today. Like a beautiful tapestry, the threads of my unique experiences weave in and out of one another to create a beautiful work of art. Years spent waiting prepared me for leading women’s ministry today. Missionary kid experiences gave me a heart for the lost essential to our current church-planting journey. Even the pain-filled years become connecting threads in the hands of the Master Weaver. God has a plan for you that is not new to Him. It’s been His plan from even before you formed in the womb. The experiences you’ve had, the challenges you’ve faced – these things helped mold you into the person you are today. Look back at the road you have traveled, friend, and see if that path, coupled with your spiritual gifts gives you insight into where God is leading you today. Set goals with confidence by remembering the progress you’ve already made! 4. Pray for godly desire. Our God amazes me. He isn’t content with second-best for me, neither is He content with second-best for you, friend. I remember the year that I didn’t want persevere to be my one word because it sounded like hardship to me. But what a year that turned out to be! The more I learn about His character and grow in His likeness, the more I realize that His challenges are worth tackling. His rewards far outweigh the sacrifice and suffering often required. Yes, following hard after Christ requires cost. (Matthew 16:24-24) I won’t lie to you about that. I won’t tell you to ask God for health and prosperity and successful relationships in the New Year because I won’t presume to know that’s what is best for you. Sometimes God’s best doesn’t look good at all to our human eyes. We’d rather avoid pain, suffering, and hard work, let’s be honest! After all, how can losing a loved one possibly be good for us? How can illness benefit? How is loss of income or possessions in our favor? 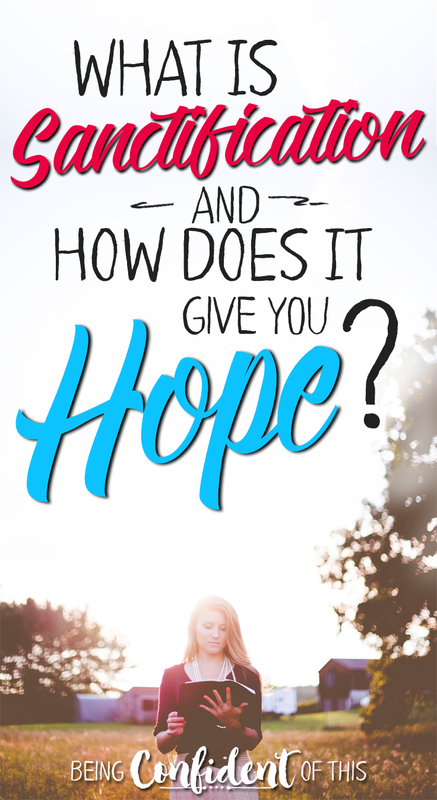 I’m sure the disciples asked the same when their Greatest Hope hung dying on the cross. How could such a death be part of God’s eternal plan? Yet it was! Ask Father God to give you godly desires, friend, but also to give you a willing heart that accepts whatever path He deems best, even if that path requires hardship. 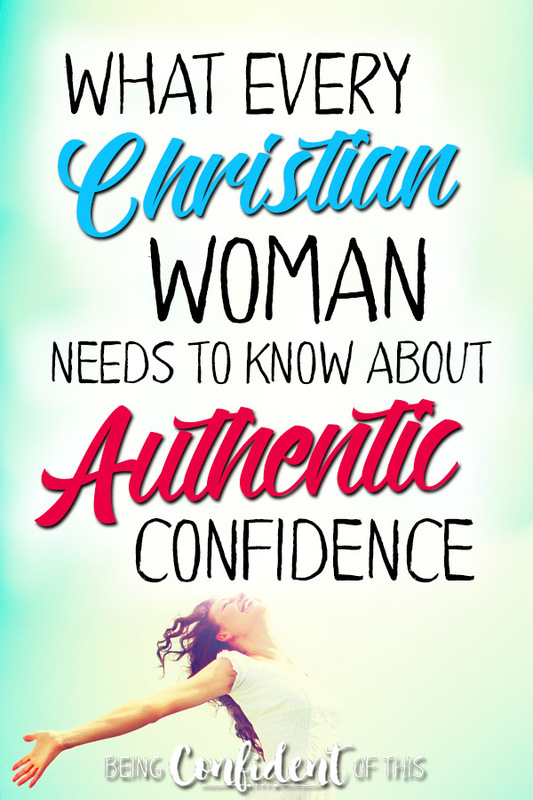 When you pursue His desires for you, you can be confident that He WILL establish your steps. Pray for a sensitivity to the Spirit before you sit down to set goals, then set goals with confidence by trusting God to answer that prayer! When the excitement of the New Year or new habit wears off and our fresh start begins to feel like a lot of hard work, we either persevere or we grow discouraged. At this point in your journey, a solid plan makes all of the difference between success and defeat! If you know that following steps a, b, and c will get you to the end zone, then it’s easier to push through those pesky plateaus. However, if you don’t have a solid plan in place, you’re likely to give up when the going gets tough. *This site makes use of affiliate links. For more information, please visit the About page. Thank you for supporting the ministry of this Being Confident of This! 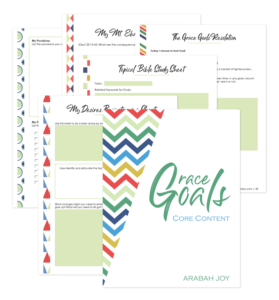 This is why I continue to use and recommend Grace Goals by Arabah Joy. Grace Goals begins with a biblical foundation (beginning with prayerful consideration of God’s direction) and builds on that using practical tools for success (like planning sheets, evaluations, etc. ), all the while teaching you how grace motivates real and lasting change! It has become my go-to tool for making concrete plans to successfully complete projects God lays on my heart (including the latest book, Being Confident of This), and this year I’m planning to use it to make some changes in my habits (like learning to prioritize my schedule/say yes and no to the right things and possibly working on some healthier habits, too). 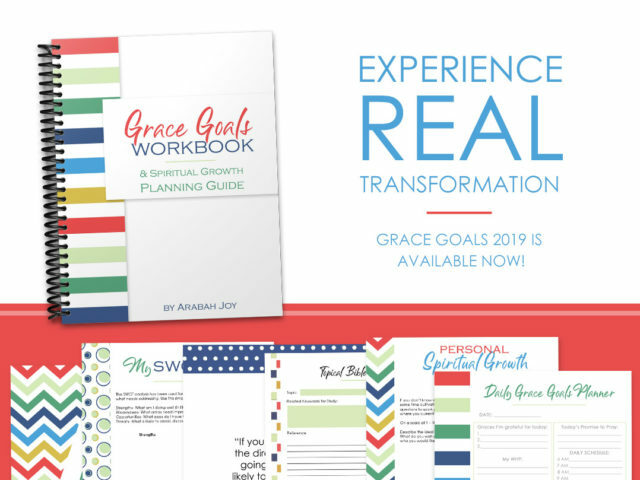 I know from experience that going through the Grace Goals workbook process will help me to create a doable plan and protect me from becoming overwhelmed. Set goals with confidence by creating a practical plan for success! 6. Take the first step. 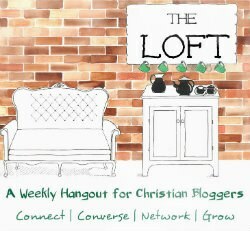 There comes a time when Christian women need to quit praying and planning! 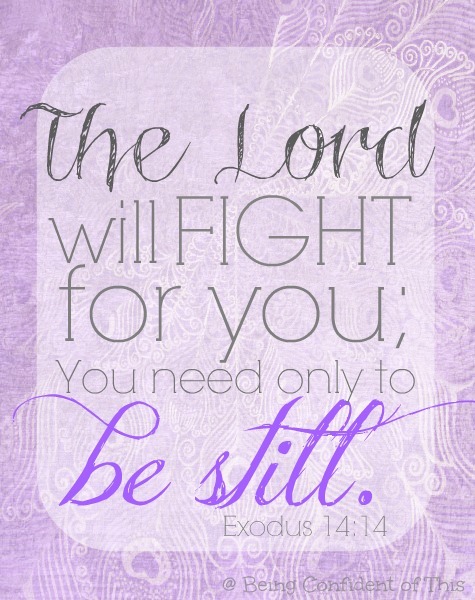 Yes, you heard me right – quit praying and start obeying. We often tend to use the “pray about it” excuse as a reason for delayed obedience, which is really dis-obedience. If you’ve prayed about your goals, spent time communing with the Lord in regard to His plans for you, and followed the Spirit’s leading in creating a plan, then at some point, you have to quit praying and planning and start doing. It’s not enough to talk about the goals we are setting, to pray about the goals we are setting, or even to write down the goals we are setting if we don’t take that first step of action. In fact, according to scripture, failing to act on what we know God wants is sin, plain and simple. This is the point in time when your confidence will really be tested! Is this the right goal for me? Is the timing right? What if my own fleshly desires got in the way and I’m choosing the wrong path? Will the work be too hard? 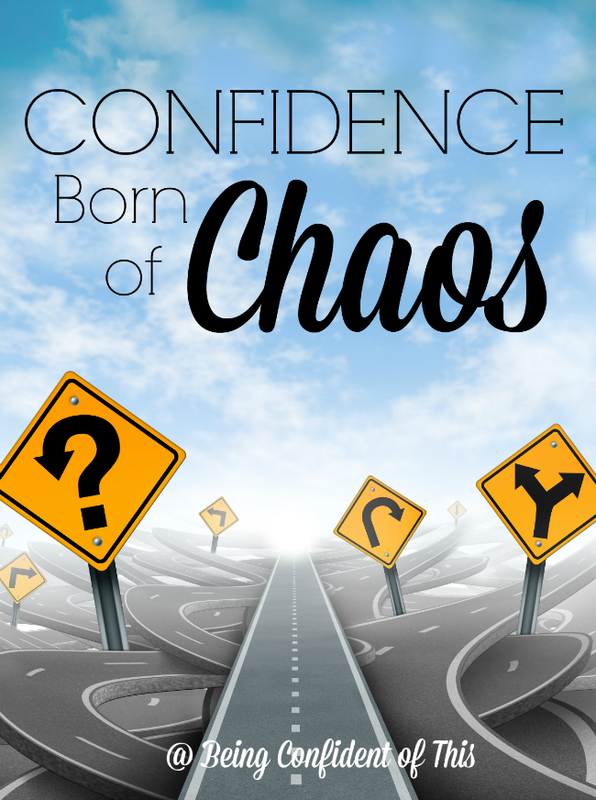 These questions and doubts will keep you stuck indefinitely if you allow them to, friend! Answer them with what you know to be true about God and who He created you to be. Review the process you have taken so far and rest in the knowledge that even if you happen to mis-step, He will correct your path! Your Father God hasn’t asked you to take on this new journey on your own. No, He promises to guide and direct you, to give you strength and courage! Set goals with confidence by following through and taking that first step. Friend, I firmly believe that Christian women like me (and you) should be more intentional about how we spend our time and the things we choose to pursue in life. 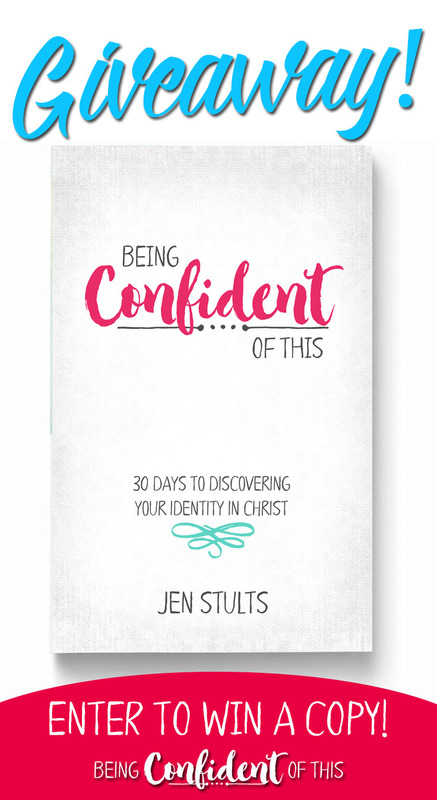 When we embrace the work-in-progress in us, we recognize the need to continually partner with the Spirit so we can be molded into who God wants us to be. We know our time here is limited, so let’s not waste it, amen? As much as fear pulls against you, let God have control over your life this New Year! Let Him determine the path you take. Let His desires become your own, believing that His way is what is best for you and for your family. 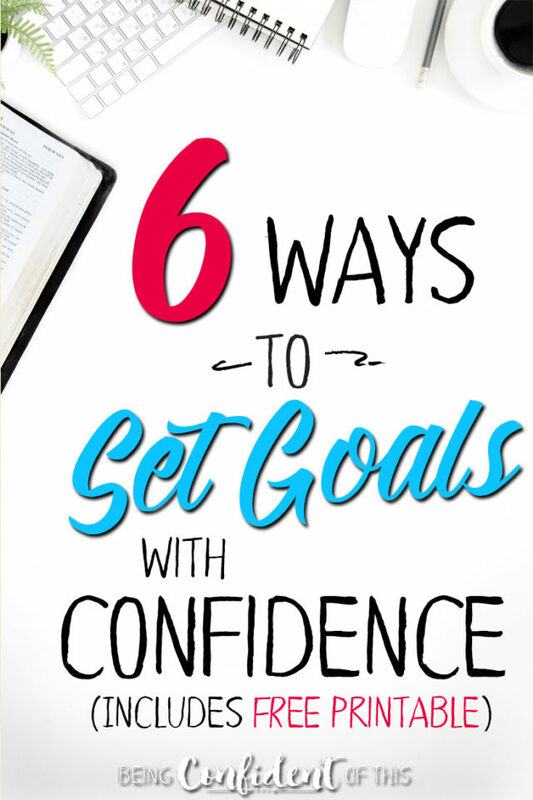 Set goals with confidence this year! 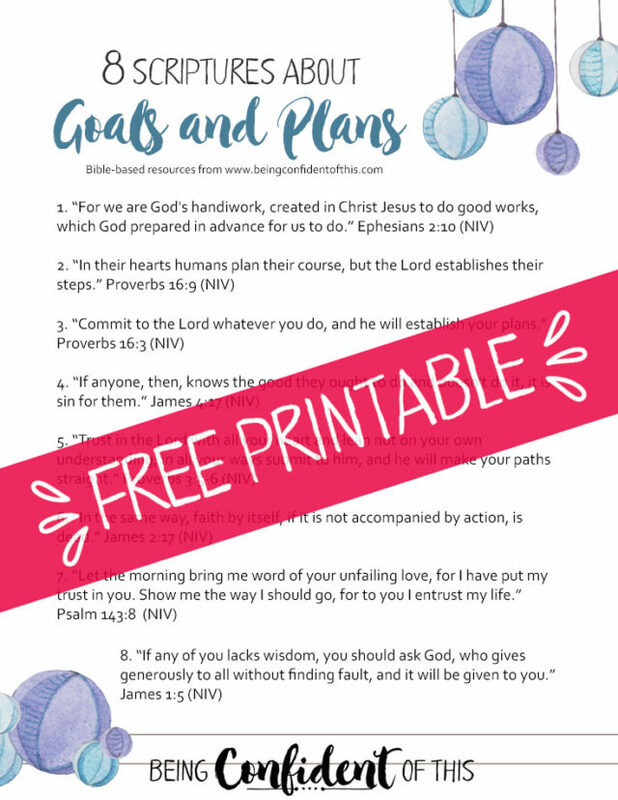 Before you go, I’d love to offer you this FREE printable to help you as you sit down to prayerfully consider your plans for the New Year! We like to give all of the best stuff to our faithful subscribers! Just click on the picture below to go to the sign-up form for our newsletter, and you’ll be on your way to your freebie. If you’re serious about setting godly goals this year, please check out the recommended resource Grace Goals! Harness the power of grace-filled, Spirit-dependent living in order to see real transformation in your life. If you join through our link by clicking the picture below, we’ll send you a free bonus – The Work In Progress Toolkit! 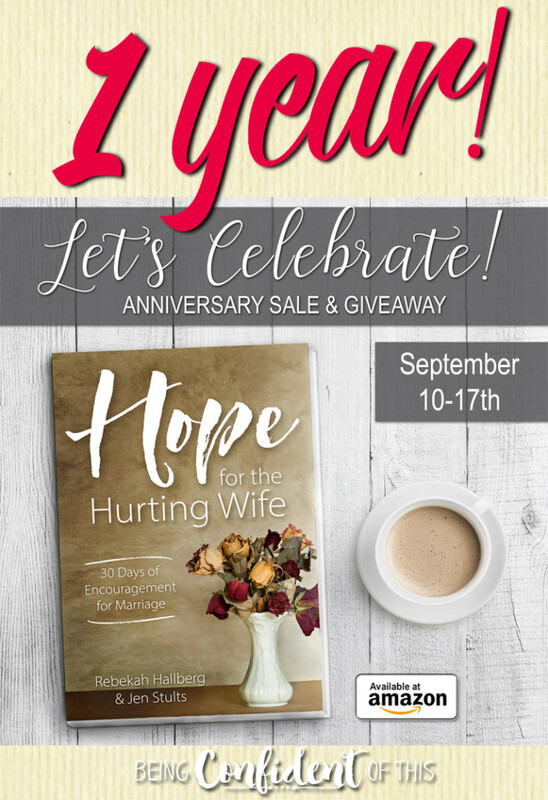 Just purchase Grace Goals, and send us a copy or screenshot of your receipt along with your best email address for keeping in touch, and we’ll send the first email of your BONUS Toolkit. (NOTE: limited offer valid through January 7th, only)! It’s likely you’ve heard the admonition to “preach the gospel to yourself.” But do you have a practical, systematic way for doing that? What do you say when you preach the gospel to yourself? The gospel message about Christ’s death, burial, and resurrection has the ability to enrich us and make us wealthy in mind and spirit, word and deed (see Colossians 3:16). Yet if we have little grasp on how to effectively let it, we miss out on the power it holds. Preaching the gospel to ourselves means allowing our thinking, emotions, and responses to daily be shaped by the truth of the gospel. In this series, we hope to give you practical help in preaching the gospel to yourself. We’ve pulled key gospel concepts and compiled them into a list of words, such as justification, redemption, and sanctification. Don’t let the big words scare you because we’ve explained them! 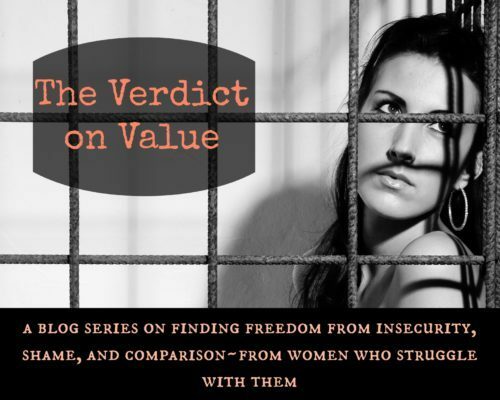 We’ve also summarized each of these powerful truths in a useable way. We hope this series will deepen your grasp on the gospel and give you verbiage for what to say when you preach the gospel to yourself. To begin, read my post below. Then visit each of the links for more gospel words. Take notes while you visit! You may want to bookmark this page because you’ll probably want to come back here often. In the Old Testament, there is little mention of the word sanctification. In fact, the NIV doesn’t use that particular word at all, while the NASB mentions of sanctification refer to only a single Hebrew word “qadash” (kaw-dash’). Qadash mostly described objects which were “set apart” for use by God. These were not ordinary objects meant for everyday use, but special items such as those used in the tabernacle by the priests (ceremonial items, the ark of the covenant, etc.). Thus, qadash refers to the uncommon, those things or people (mainly priests) set apart strictly for the Lord. In the New Testament, however, we see a different sort of sanctification. Two Greek words are used by both the NIV and NASB: hagiazo (hag-ee-ad’-zo), the verb form which means to make holy or to sanctify, and hagiasmos (hag-ee-as-mos’), the noun form which means sanctification or holiness. Both words also relate to hagios (hag’-ee-os), the adjective form used to describe us as Christians. In essence, to sanctify means to make holy. However, the New Testament version of making holy describes a process, the process by which the common (mankind) is set apart and made uncommon! 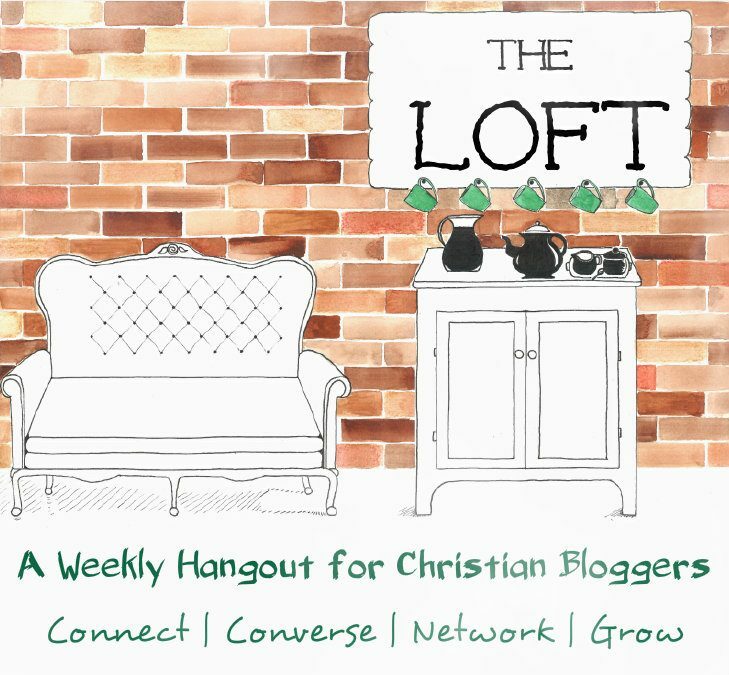 Position – In Christ, we are considered sanctified before the Lord. We are already perfect, already uncommon, already complete because of Christ’s blood covering over us. When the Father looks at us, He sees not the work that still needs to be done; instead, He sees only the blood of his perfect Son. The work of positional sanctification takes place the moment we accept God’s free gift of forgiveness through His Son’s death on the cross in payment for our sins. So, for those of us who are in Christ, positional sanctification is in the past – it’s a work already accomplished. 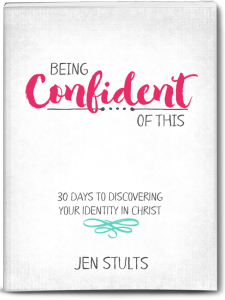 Progress – Although we are positionally perfect in Christ, realistically we know that sin keeps us from perfection. Thus, progressive sanctification refers to the process of growing in Christ-likeness. It is the present and continuing form of sanctification, that work in progress that I speak of so often here. As we grow in Christ-likeness, His image reflected in us becomes more and more clear! Perfection – There is also a future component to sanctification. One day, when life on this earth ends for us, we will be made complete in Christ. At that point in time, the work in progress will be finished! Sin will mar us no more. We will bear the Father’s image perfectly, and the view God has of us on behalf of His Son will match our true character! Just imagine – no more struggling to do right, no more guilt, no more frustration with self! While we know our position in Christ is secure, we recognize the need for continuing change, for progress. We know we must be sensitive to the Holy Spirit so that we allow the Lord to mold us into His image. This quote from J. I. Packer defines it well. The worst thing we can possibly do as Christians is to relegate our Redeemer to the work of salvation, yet bar Him from the work of sanctification. If we trust Christ for eternity, but not for the day to day, then we limit His power! We fail to find freedom and the abundant life He has planned for us. My friends, the power of Christ in us is real. His promise to make us into new creations is not just for some distant future when we become complete in Him, but it’s for today! Right now! Moment by moment. Our Savior came to free us from sin, not just from the guilt of sin, but from the chains of sin itself. This is the goal of sanctification – freeing us to become whom He meant us to be from the very beginning – His image bearers. He began the work (position); He carries it on (progress); He promises completion (perfection). I’ve been reminded of this truth often this winter. There comes a time in the Midwest when the landscape becomes a palette of brownish gray dead things. The grass is dead. The trees are dead. And unless there is fresh snow, the roads become ugly gray muck. At some point, it seems as if spring will never come. But as I looked out our window the other day, I noticed a tree that was budding. Even beneath the snow, you could see the slight redness of the buds. Although the tree looked dead, important work was taking place beneath the surface of what I first saw. And in several weeks, we will see the fully glory of that work when all of nature bursts forth in colorful re-birth. As I contemplated these things, the Lord reminded me of how often this scenario plays out in my own spiritual landscape. 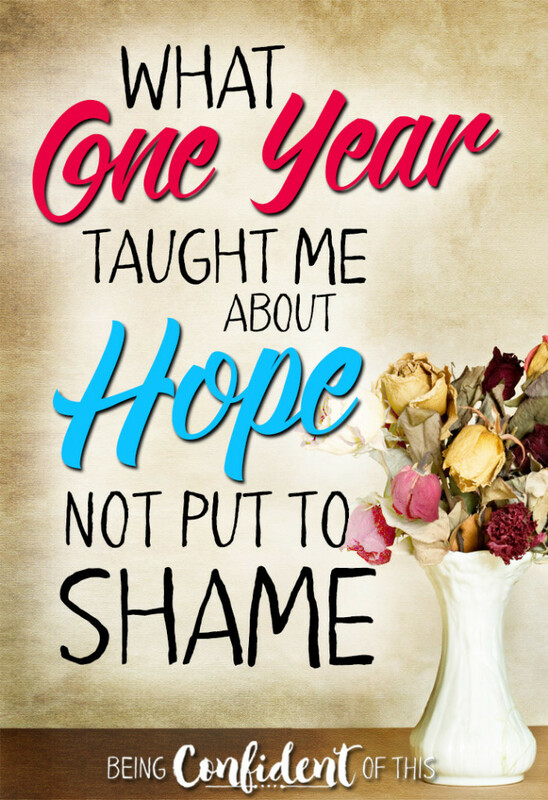 At times, it seems my progress is stunted – there is too much “deadness” about me, too much sin. I see only gray and become easily overwhelmed and discouraged. But beneath the surface, He is doing important work in me. 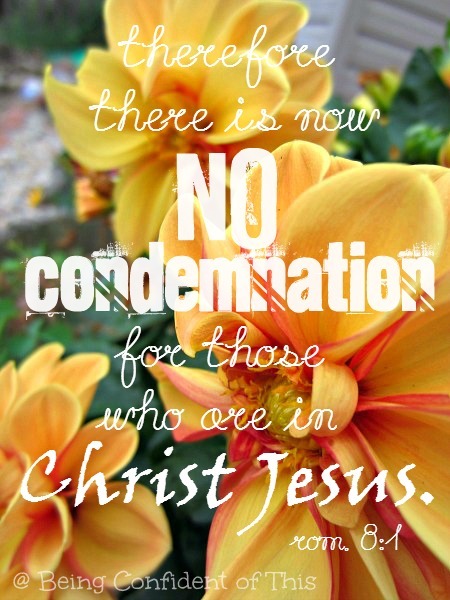 I may not see all of the fruits of sanctification yet, but they will come! And when they do, they will be glorious to behold! 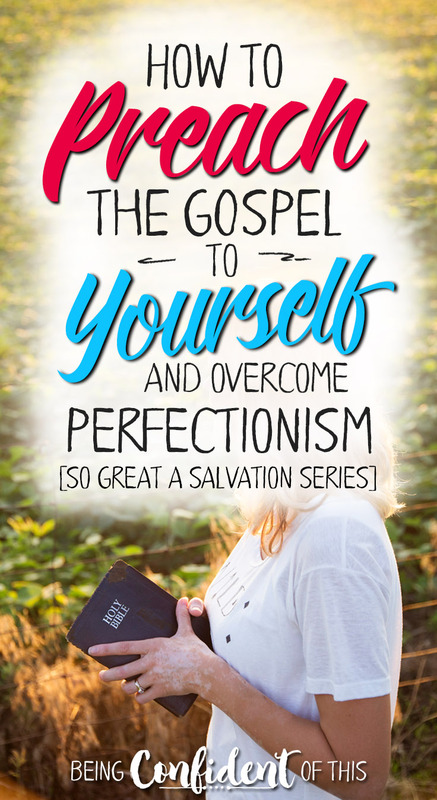 So, the next time you feel overwhelmed by your own sin, stuck in a rut, doomed to failure – preach the gospel truth of sanctification to yourself. This, my friends, this is the hope of sanctification.